This is a free service. Donations are deeply appreciated and can be made here. • Chicken soup is delivered Monday - Friday between 3:30 - 5:00 pm. • Orders received by 4 PM MST Monday - Thursday will be contacted for delivery on that day. • Orders received by 3 PM MST on Friday will be contacted for delivery that day. • Deliveries are available on a first come, first served basis, but you will be contacted on the next available delivery day. 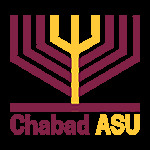 Please note: We currently only deliver to Tempe, and this program is only for current ASU students. Deliveries are made during the ASU school calendar, during the Fall and Spring semester, and delivery program is not active during school breaks. Deliveries will NOT be made on Friday, April 26th due to the Jewish holiday of Passover.